It's been over a month since my last entry! We have been busy entertaining and also taking care of our guests for four weeks leaving me with no spare time to post the desserts I have been baking lately. 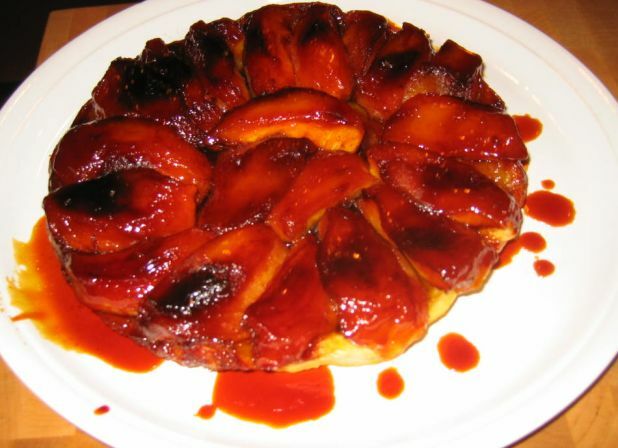 Phuc's been asking about my Tarte Tatin for a while now. He kept saying "since I dropped your dessert on the floor you never bake it again". It is true, I has been a while since I bake this tarte. 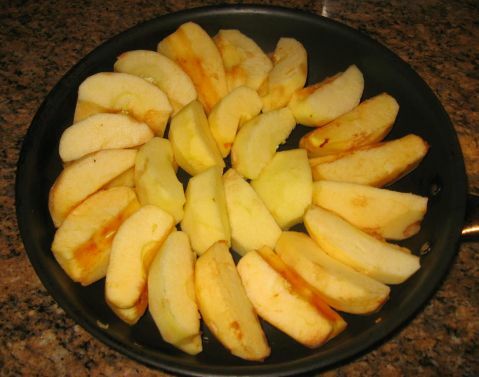 Once the Tarte comes out from the oven, you have to invert the piping hot pan on a plate so the layer of apples are on top, and that is tricky part. Grabbing the super hot pan with towels and then inverting it on a plate is not an easy task, this is where Phuc's hands inadvertently slipped and the Tarte hit the floor instead of landing on a plate! 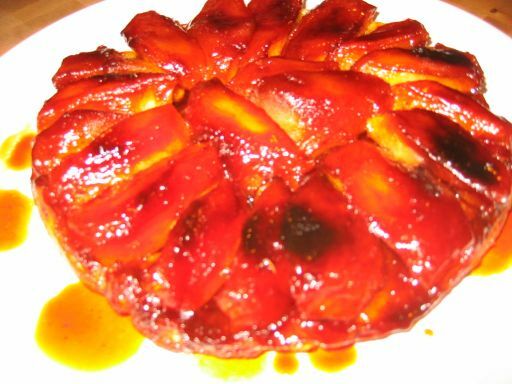 After that accident I usually made individual Tarte Tatin because it is a lot easier to handle but no need to worry this time, I found a trick to make it easier to invert and fool proof! This dessert is best eaten hot or warm with a few scoops of Ice cream melting in your mouth. I also love the contrast of warm apples against the cold ice cream! Just so yummy! 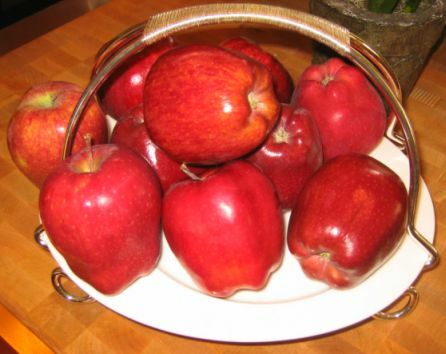 I also love the taste of the caramelized sugar and the soft chuck of apples. The dessert is also so beautiful to look at. It takes about 4 to 5 pounds or about 8 to 10apples to make this tart. The apples are then peeled and quartered. 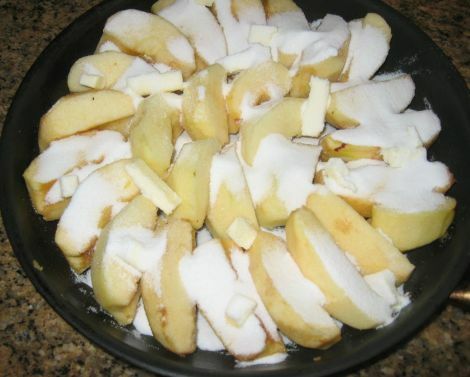 Sugar and butter are added to the Apples. 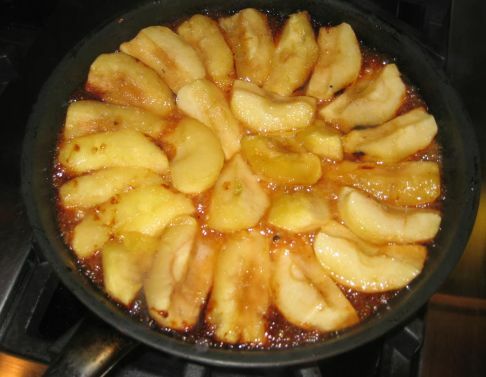 The sugar, butter and apples are cooked until the apples are soft and the sugar turned to caramel. 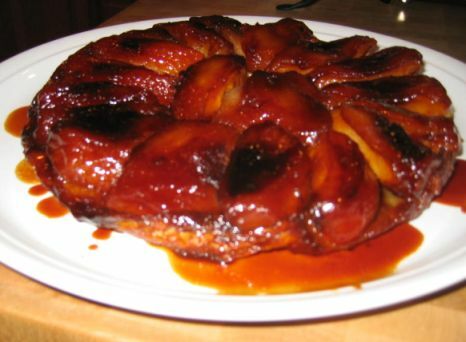 It takes about about 20 minutes or so for the sugar to turned to caramel and the apples to soften to the correct consistency.